Please recommend posts with particularly good Support lists, MLB CEs are ideal! Please let people know if you’ve sent them a request and let them know your IGN so they know which requests to accept. 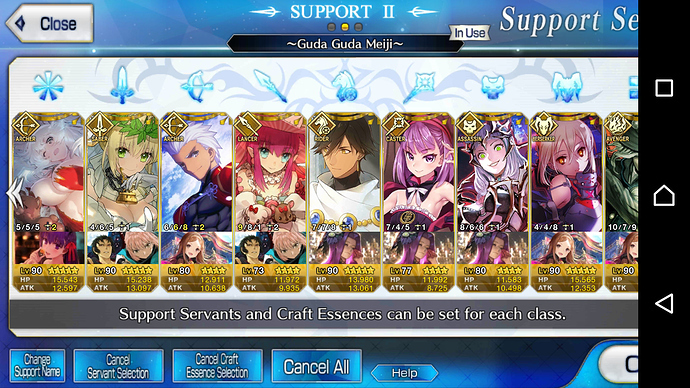 A little early, but I wanted to get it out of the way so people can start searching for whichever Support Servant they want to build their teams before the event starts, unless they plan on waiting for someone with Hijikata or Chacha. Just like the Guda Guda Friend Recruitment thread I started before, let’s stick any Support advertising and Friend searching to a single thread so as not to clutter the board with similar topics. I’ll be updating the picture above once I get Event CEs. 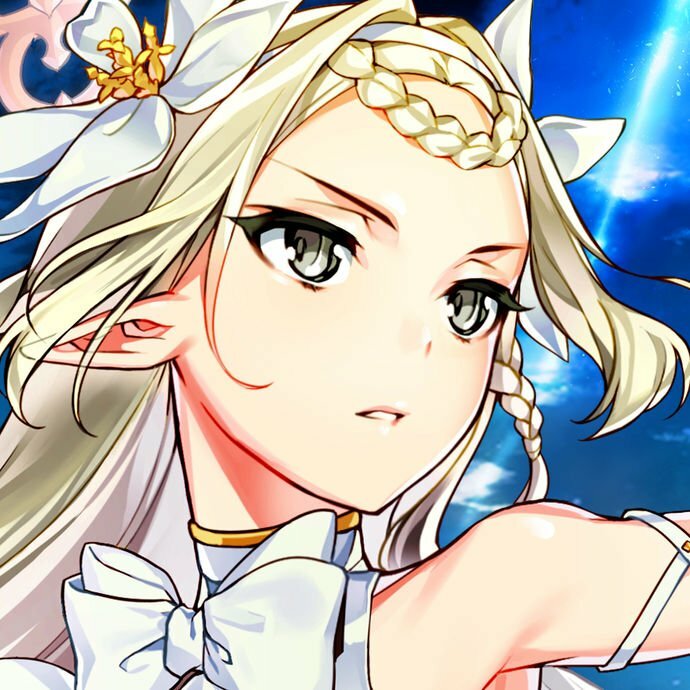 Though, don’t expect me to have Gacha CEs for drops in the future (save for the free 3* one) since I’m saving what little SQ I have for CCC and SERAPH. Though feel free to let me know if you want or need a particular CE on a Servant for whatever team build you’re planning. Euryale will be in demand for the challenge quest. that good enuf for you? Euryale would murder Hijikata so long as she’s kept alive. His Berserker class plus Euryale’s relatively low HP pool makes it a bit risky so Mash would be quite necessary. Then again, Mash is a staple for most, if not all, Challenge Quests so it probably goes without saying. @Scarlett My Euryale’s Level 70 and skills at 7/6/7. HA! I am thinking Euryale, Euryale (support), Stheno for the challenge quest. 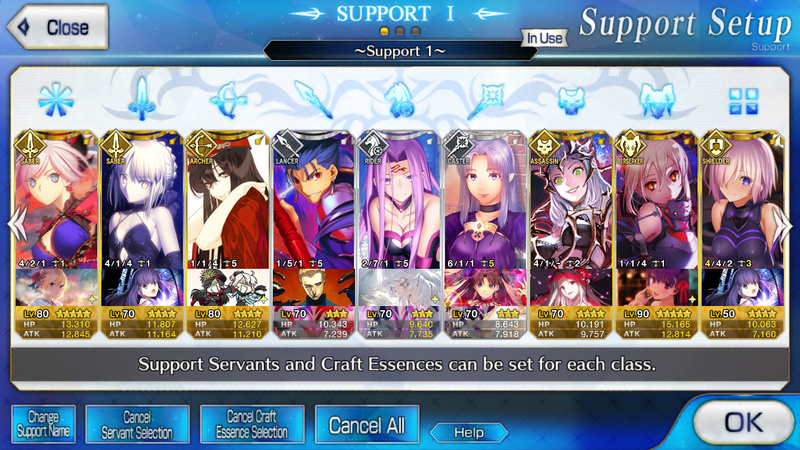 Or, Euryale, Euryale (support), Tamamo. 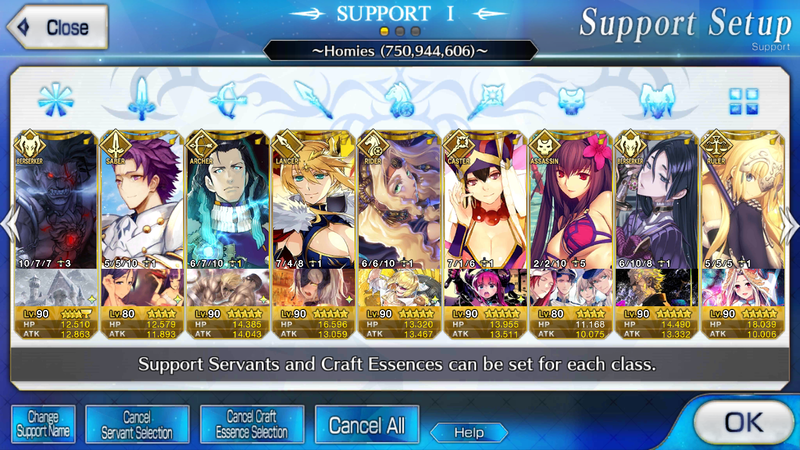 Heyo people, I am new to FGO, started playing 10 days ago or so and I was mainly focusing on getting Oda and I got her to level 4 NP, fully ascended to max level 80. 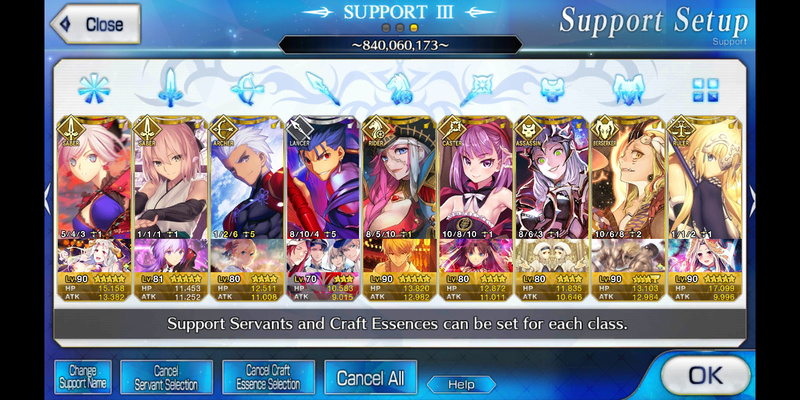 And since today is last day, I am hoping I can get 1 mil points for last NP upgrade but I might not be able to do so. Apart from that I noticed new GUDA event is coming with Cacha, do you guys have any tips for how to prepare myself for that one so I can manage to get Cacha with all ascenscion items needed and NP to max to level 5? I do have Emiya, Chu Chulainn and Nobunaga who can give me extra event points, but overall my party itself is fairly underleveled because I was focusing just on the event itself. 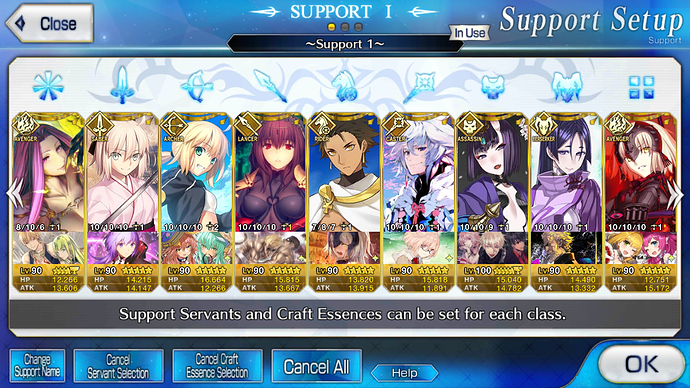 This will be updated as I get event appropriate servants and CE. I don’t really have the SQ to roll for CE though. I also expect my Okita to be 90 by the time the event starts. 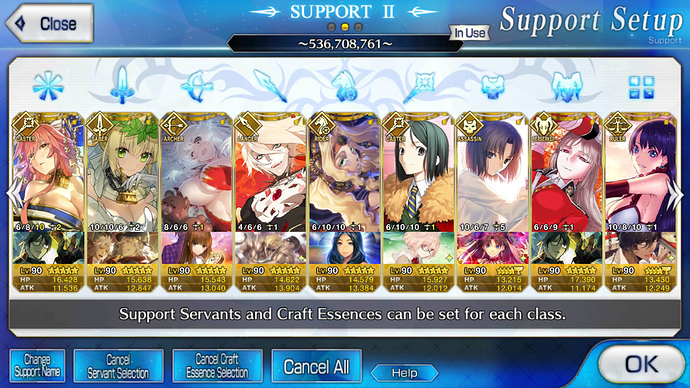 I have no friend spots open, I assume after this event is done people who added me for MLB CEs will delete me, so I will probably have some room to add others. Have 1 spots left. I can’t accept someone if you don’t post here with your IGN. Added all of you who have shared their IDs for the upcoming event, my handle is Weasel.